Not one, but two jerseys. Kobe Bryant, to some, is the greatest Laker of all time. 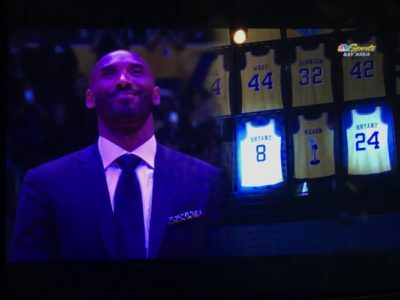 Tonight, Bryant had both his #8 and #24 jerseys retired and hung up in the rafters of the Staples Center. Where does Kobe rank on your all time Laker list, as well as your all time NBA list?